Lend patriotic charm to your Facebook post with this flag-flying penguin. 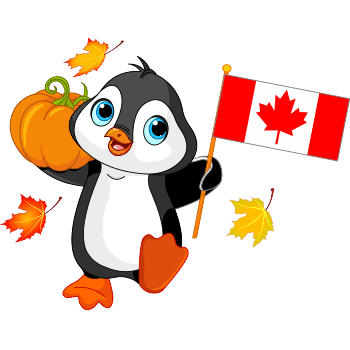 You can also share this penguin in a message to your Canadian FB friends and family members. Don't let a holiday go by without sending a special greeting to your family or friends. Our images will help you say things more colorfully.